The Lion Hotel occupies one of Adelaide’s oldest buildings taking its name from the Lion Brewery which was built on the site in the 1870’s. 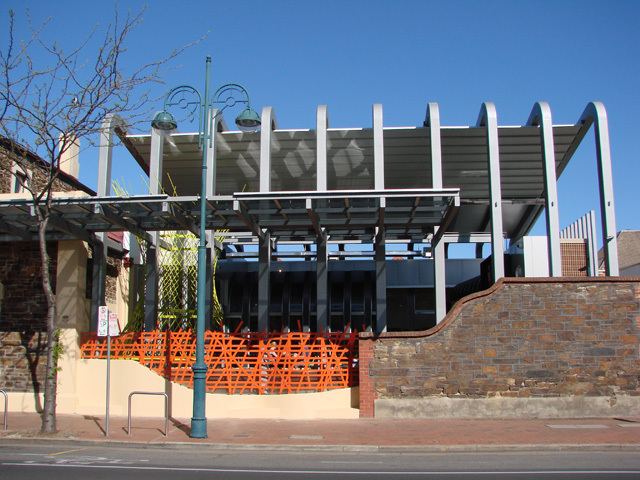 As part of this innovative redevelopment of the outdoor dining area, Architects Brown Falconer designed a contemporary steel framed structure complete with the Corradi Impact Roof System. 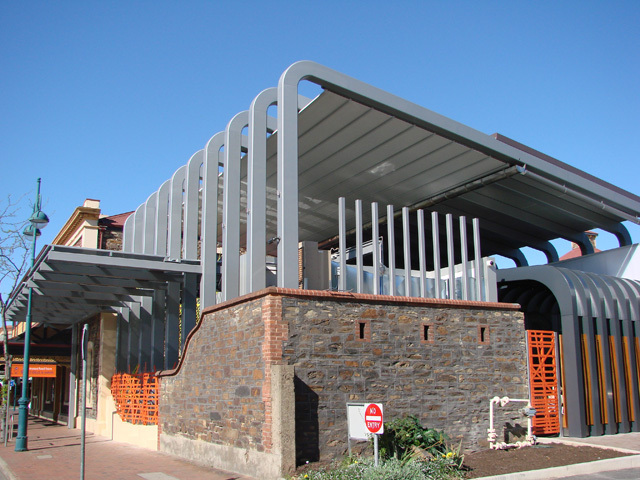 architect, builder and steel fabrication/design contractors, Shadeform was able to deliver this innovative and contemporary solution providing retractable protection for the hotel courtyard. Corradi Impact roof system, the courtyard is now fully usable as valuable commercial space. Product flyers for their entire range can be found on the Shadeform website.